SAPT was created in March 2010. Its main mission is the piloting and implementation of the Reconstruction Project. A Limited Liability Company with an initial share capital of 600 million dirhams, SAPT has two main shareholders, namely the State and Hassan II Fund. The City of Tangier, the Agence Nationale des Ports (the National Agency of Ports) and the Agence pour la Promotion et le Développement Economique et Social des Provinces du Nord (the Agency for the Promotion and Economic and Social Development of the Northern Provinces) (APDN) are also present in the capital. Its Chairman and Chief Executive Officer is Mr. Mohammed Ouanaya. 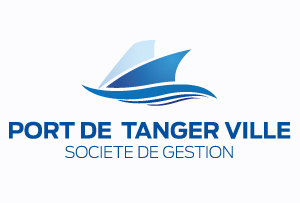 In order to develop port activities (yachting, ferry and cruise) and manage related facilities, SAPT, together with the ANP, created a joint subsidiary called the Société de Gestion du Port de Tanger (the Port of Tangier City Management Company) (SGPTV). With an initial capital of 200 million DH, increased to 400 MAD in 2013, the SGPTV was created as a limited liability company with a board of directors. The SGPTV is 51% owned by the ANP and 49% by the Société d’Aménagement pour la reconversion de la zone Portuaire de Tanger (the Development Company for the Reconstruction of the Port Area of Tangier City). Its main objective is to build and develop the necessary infrastructure for the activities of cruise, yachting and ferry services at the port of Tangier City. It also seeks to manage and operate these infrastructures, as well as carry out the tasks of the port police, under a concession agreement concluded with the ANP for a period of 50 years, starting from 1 October 2012. Private real estate investment company based in Abu Dhabi. It specializes in the creation of new hubs in cities in high-growth markets. Focusing on the development of large-scale real estate projects, Eagle Hills designs and establishes mixed-use facilities. It uses the latest technologies to build smart, sustainable projects that create value for the local economy. The company is currently developing projects in Bahrain, Jordan, Morocco, Serbia and Nigeria. More informations about Eagle Hills.